This pattern from Sun Shine Creations is not only beautiful but unique. I really like different patterns and this is one of them. The shells are almost 3 dimensional. 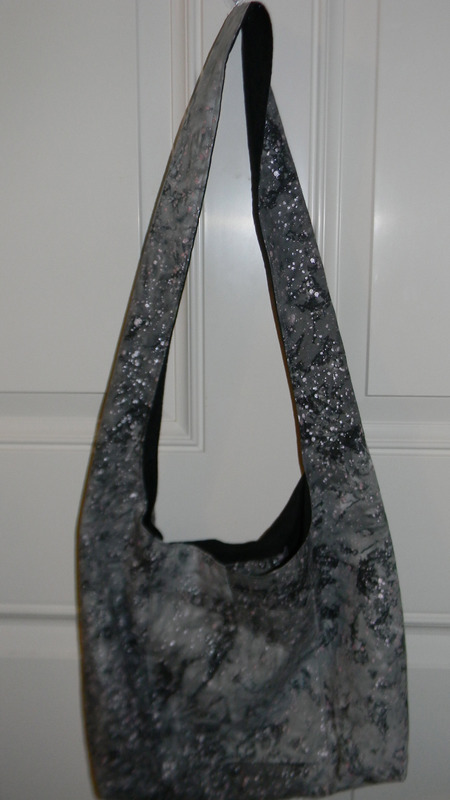 You can use any yarn or crochet thread you chose and a hook that will give you the results you want. For my black shawl I used Red Heart Shimmer. There are lots of shimmer yarns on the market right now. I used 3 skeins and crocheted with a size F hook. You could use a larger hook for a more airy look. 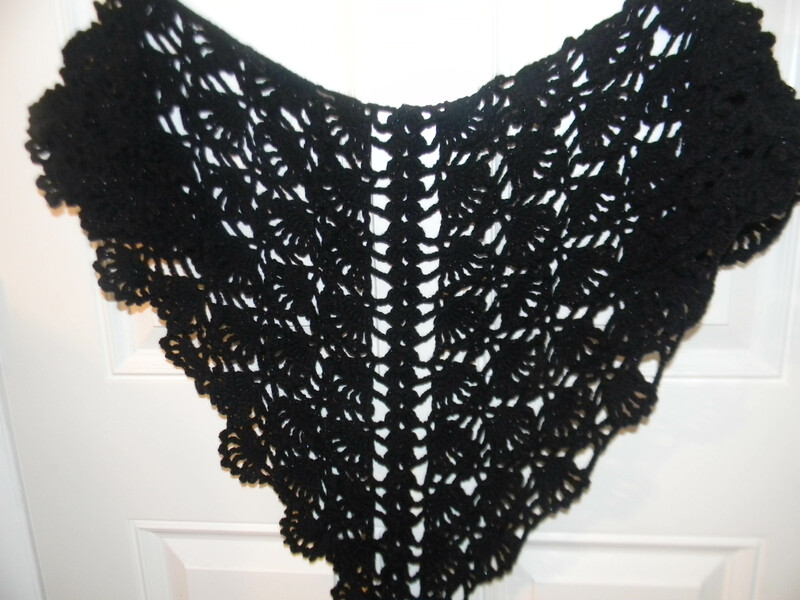 I began crocheting this variegated shawl with a baby weight yarn and a size C hook. It will probably take 3 -4 skeins. 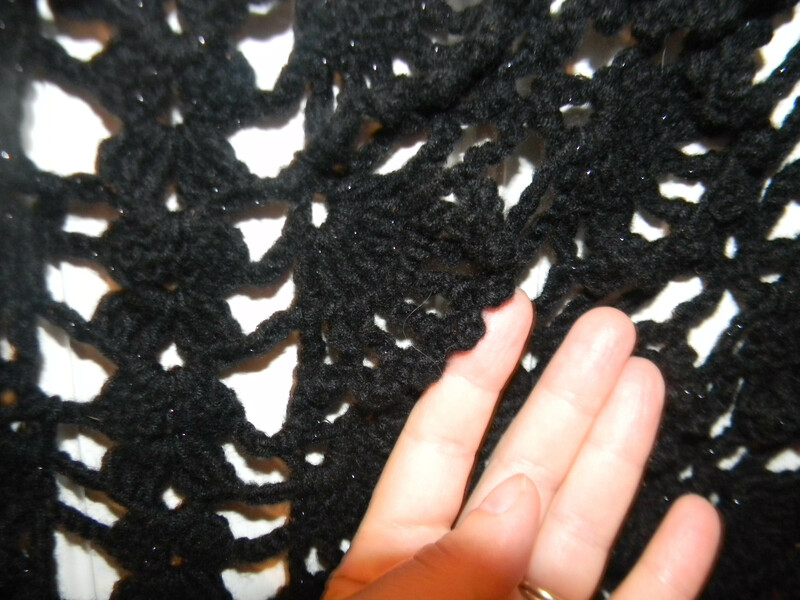 This pattern could also be used for a head scarf or shawl using crochet thread which I will try next. I would rate this pattern as intermediate. The instructions on the site are clear and there are great pictures for beginning the pattern. After row 7 the pattern is established and you repeat rows 5-7 until you achieve the desired length you want. Please give it a try! 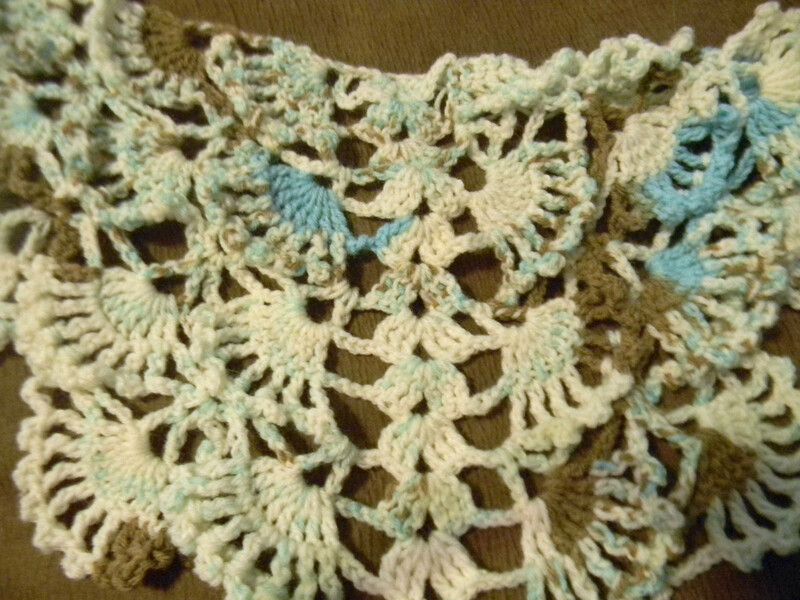 This entry was posted in Crafts, Crochet, Posts and tagged Crochet, crochet shawl, free shawl pattern, snow queen shawl pattern. Bookmark the permalink.